Published on June 7, 2018 in Finance, General T&T, Law, Politics and Recession. 10 Comments Tags: Colm Imbert, Raffique Shah, State Lands. I was about to write a column on my concerns with the Valuation Division of the Ministry of Finance, which plays a critical role in the implementation of the new Property Tax, when I read the lead story in the Sunday Express that pertained to a number of “hanky-panky” deals involving the distribution of State lands by officials of the Division of State Lands, which falls under the Ministry of Agriculture. Published on June 21, 2016 in Finance, General T&T, Media, Parliament, PNM, Recession and UNC. 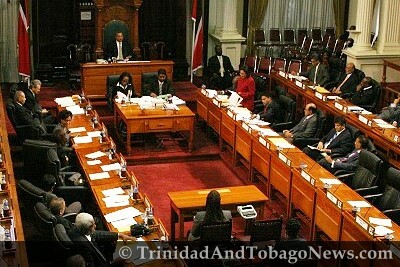 8 Comments Tags: Guardian, Kamla Persad-Bissessar, Keith Rowley, Politics, T&T Govt. Fresh moves are underway to increase the salaries of the Prime Minister, cabinet ministers, the Opposition Leader and all other MPs. This is as a Salaries Review Commission (SRC) consultant met with senior Government and Opposition MPs last week to initiate the process for the hike.